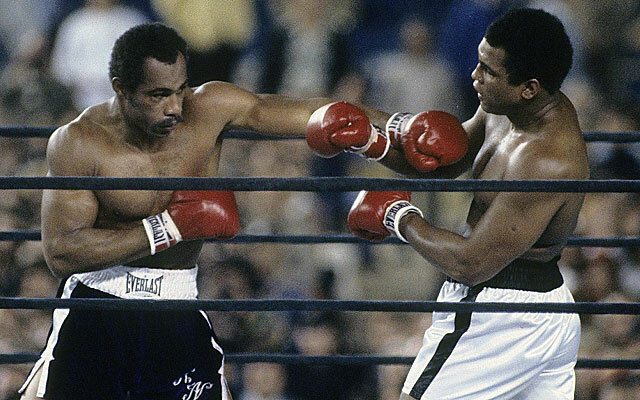 A recent article on this website about one of Ken Norton’s finest performances referred to him as “a hard-luck fighter.” It discussed the fact that Norton had the misfortune to contend at the same time as such great heavyweights as Muhammad Ali, George Foreman and Larry Holmes. 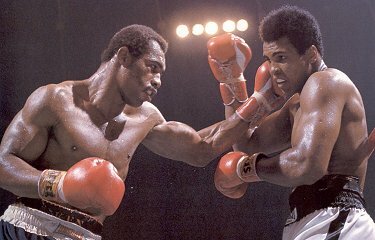 It also mentioned Norton’s controversial loss to Ali in 1976 and the fact he has the distinction of being the only heavyweight champion in boxing history to never actually win a championship fight. All of that is true, but it doesn’t begin to tell the whole story. And it is perhaps unfair to call Norton a “hard-luck fighter” when in fact luck had very little to do with his success in the ring. 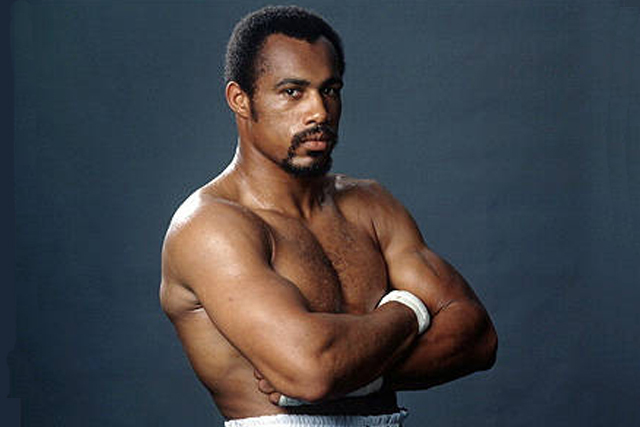 The simple truth is this: Ken Norton was one of the best boxers in a heavyweight division which has never been equaled. 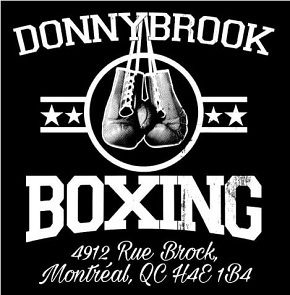 It is difficult to dispute the assertion that contenders such as Earnie Shavers, Jerry Quarry, Ron Lyle, George Chuvalo, Oscar Bonavena and Jimmy Young had what it took to be champions in other eras. The extraordinary depth of the heavyweights during the 1970s lends honor to all who competed at that time and there’s no doubt Norton’s name belongs near the very top of any ranking for the decade. In terms of talent and athleticism, he compares favorably with many champions of the past. 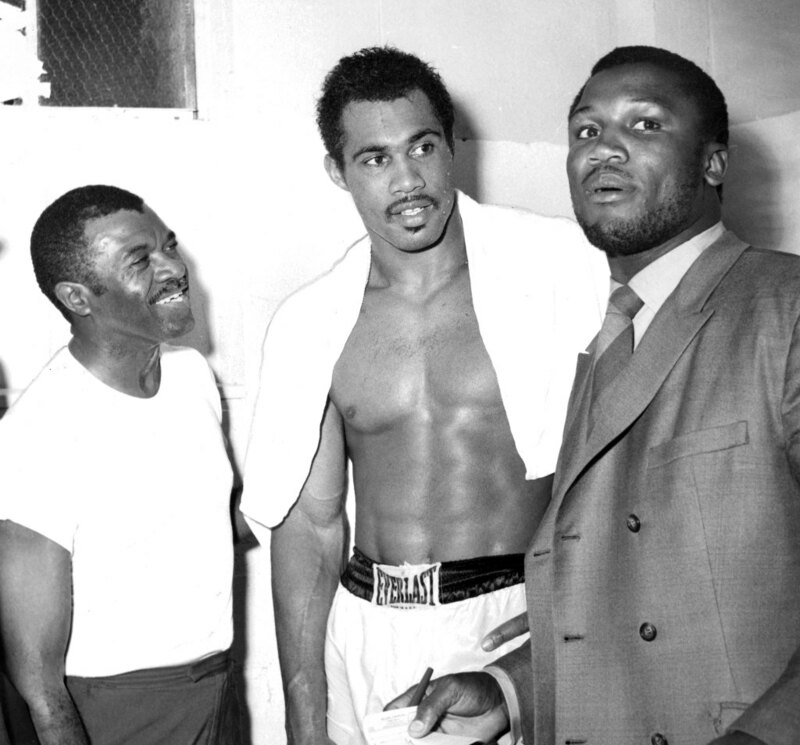 A young Norton (center) with his trainer Eddie Futch (left) and Joe Frazier. Of course the figure dominating the sport at that time was Muhammad Ali and Norton knew he and the rest of the contenders owed a great deal to “The Louisville Lip” and his ability to attract big crowds and huge paydays. Despite feeling horribly wronged by the decision in their final meeting at Yankee Stadium, Norton never forgot that it was “The Greatest” who gave him a chance to build a better life for himself and his son. Norton’s early years as a boxer were far from easy. A single parent with few prospects, he had started boxing in the Marines, winning the All-Marine Heavyweight Championship three times, and was encouraged to turn pro by a group of San Diego businessmen who paid him the grand sum of $100.00 per week to pursue his career. Between being a father, working on an auto-plant assembly line and training, Norton wasn’t sure if he was headed in the right direction. Then along came Muhammad Ali. Norton and Ali rumble in their brutally tough second battle. The win shocked the boxing world and an immediate rematch was an obvious next step for both men: Ali needed to redeem himself and Norton needed to seize the financial opportunity. He had earned fifty grand for the first bout; for the rematch he received a guarantee of four times that against 30% of the gross. In just two fights Norton went from scrambling to provide for his son to being able to guarantee Ken Norton Jr. all the opportunities one could want in life. Ali-Norton II, the best fight of the trilogy, not only established Norton financially but also professionally. Despite losing an extremely close split-decision, he proved his win over Ali had been no fluke. His performances in both fights elevated him to the degree that he now stood shoulder-to-shoulder with the very best — Ali, Frazier and Foreman. Ali himself called Norton the best he had ever faced after Smokin’ Joe, and despite the defeat, Norton was rewarded for his showings in the Ali fights with a shot at the world title against Frazier’s conqueror, George Foreman. 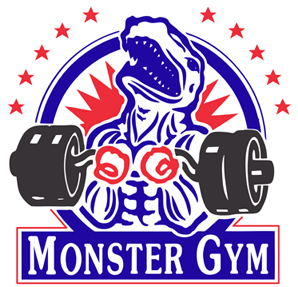 The former Marine was viewed by some as a stern test for the new champion, but in fact, as his record shows, Norton always had difficulty against big men with colossal punching power. Years later Futch, who by this time had split with Ken, commented that his former pupil had an unfortunate tendency to tense up when in the ring with big punchers. Foreman made quick work of Norton, stopping him in round two. 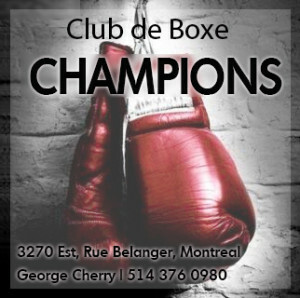 But Ken rebounded from the loss with a seven bout win streak, including an impressive battering of Jerry Quarry, which put him at the top of the division and nicely set up a second title shot and a rubber match with the man who bested Foreman, Ali. In the interim Norton had taken advantage of both his new-found fame and his good looks by launching an acting career. He took starring roles in the feature films Mandingo (1975) and Drum (1976), two rather forgettable entries in the unfortunate “blaxploitation” genre, efforts which gave Ali fresh material to taunt Norton with in the lead-up to their third meeting. Ali-Norton III in 1976 was a genuine superfight to rank alongside Ali’s huge bouts with Frazier and Foreman. The champion received a record purse of over 6 million dollars and Norton found the pot of gold as well with the biggest take of his career, 1.5 million. The outcome of the fight will forever be the subject of debate. Most at ringside saw Norton the winner, but the three judges gave Ali the verdict by a single point on two cards and by two points on the third. The simple fact is the bout was very close, with Norton fading somewhat in the latter rounds and allowing Ali to seize the momentum. The decision is regarded as one of the most controversial in boxing history and, as he candidly admitted years later, it broke Norton’s heart and fighting spirit. He unabashedly wept in the ring immediately after it was announced and spent the next two years obsessively campaigning for a fourth meeting with Ali. The World Boxing Council sympathized with Norton and after he defeated Jimmy Young they pressured Ali to grant his rival another shot at the title. Just prior to his defense against Leon Spinks, Ali agreed to do so but those plans were scuttled when, in a huge upset, Spinks defeated Ali by decision. The WBC then ordered the new champion to honour Ali’s agreement and when Spinks opted to instead face Ali in a rematch, the organization stripped Spinks of their belt and awarded it to Norton. They then ordered Norton to defend against Larry Holmes and in one of the most exciting and fiercely contested fights in heavyweight history, Holmes defeated Norton by a single point to win the championship. The end result of all this was that Ali beat Spinks to win the lineal heavyweight crown for a record third time, while Norton gained the distinction of being the only heavyweight champion in history to never win a title bout. 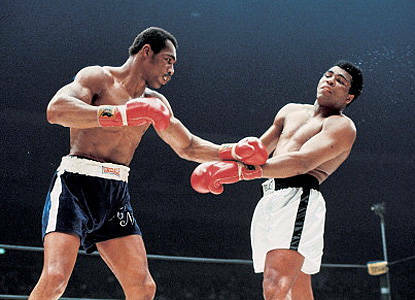 For years, Norton argued that Ali must have lost to Spinks on purpose to avoid Ali-Norton IV. Many felt Norton deserved the decision in his third meeting with Ali in 1976. The following year Norton received a final chance to fight for the title when the WBC matched him with Earnie Shavers, the winner to meet Holmes. Shavers, one of the hardest punchers in boxing history, immediately put Norton on the defensive, knocked him down twice and the fight was over in less than two minutes. Norton, by his own admission, fought on strictly for the money but his career came to a violent end in Madison Square Garden in 1981 when rising contender Gerry Cooney pummeled him into a stupor in a mere 54 seconds. Following retirement, Norton pursued his television and acting career, providing ringside commentary for many televised fights and appearing in such popular action shows as The A-Team and Knight Rider. Meanwhile, his son, Ken Norton Jr., embarked on a highly successful pro football career, becoming the first player in NFL history to win Superbowl rings in three consecutive years. 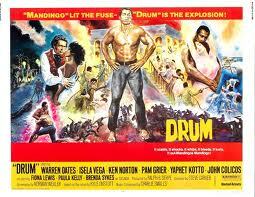 However, Norton Sr. suffered a huge setback when he was nearly killed in a car accident in 1986. No one knows exactly what happened since no other cars were involved and Norton had no memory of the event. He suffered a fractured skull and serious brain trauma and remembered nothing from the three years preceding the accident and for three years following it. Recovery was slow and difficult — doctors initially told Norton he would never walk or talk again — but once again demonstrating his toughness and iron will, he eventually regained his motor skills and began making public appearances again in the 1990s, often with his fellow heavyweight warriors, Frazier, Foreman, Ali and Holmes. However, in recent years, Norton’s health had declined. He suffered a series of strokes and was admitted to a long-term care facility in Arizona where he died on September 18.